The average person takes over 20,000 breaths a day. That’s an astounding 10,000 litres of air passing through your lungs every 24 hours. Regular breathing exercises tremendously increase the capacity to inhale and absorb life-giving oxygen. Imagine how difficult it is for someone with lung disease to breathe 20,000 a day. The Manitoba Lung Association has been hard at work helping people with lung disease since 1904, because when you can’t breathe, nothing else matters. The Manitoba Lung Association, educates youth about never starting to smoke and supports Manitobans who want to quit. They create awareness, ensure health professionals have essential training on respiratory health, provide support in Brandon and Winnipeg for people with lung disease and support research. 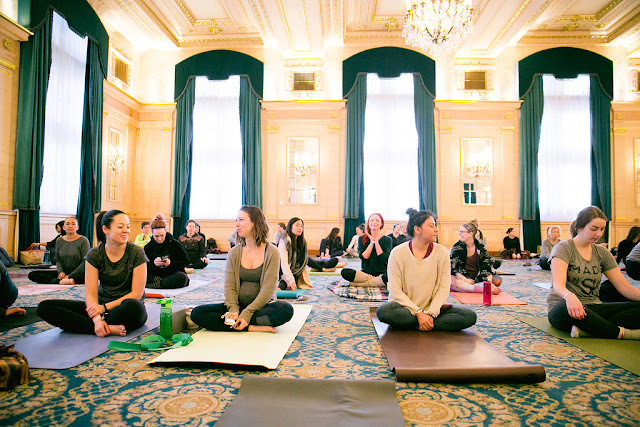 The Manitoba Lung Association’s Just Breathe Yoga Challenge was designed in partnership with Yoga Public and Prairie Yogi with the intention to combine the lung-health benefits of Yoga, and the power of the yoga community to come together and raise funds for the one in five Manitobans living with lung disease. 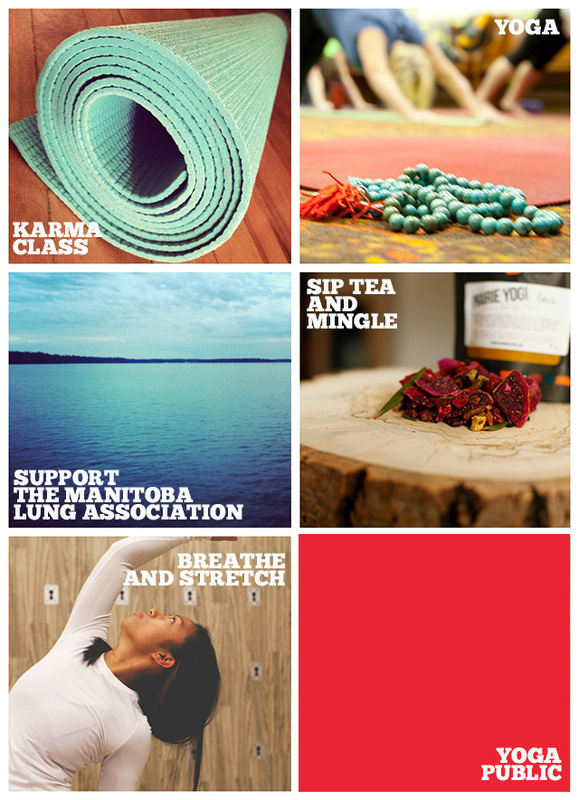 For the month of September 2013, Yoga Public is offering donation-based Karma yoga classes to support fundraising initiatives in Manitoba where 100% of the proceeds donated will go to The Manitoba Lung Association. The minimum donation for a Karma class is $5 for students and $10 for adults (regular drop-in rate is $22). There are Karma classes offered every day in September. Check www.yogapublic.com for today's scheduled Karma class. The Manitoba Lung Association is challenging businesses and schools to hold yoga workshops in the month of September. Schools and businesses that agree to take part in this fundraising initiative will be provided with a workshop package complete with the official Manitoba Lung Just Breathe Yoga Challenge DVD and information about how to collect donations for The Manitoba Lung Association. And… We’re having a party! 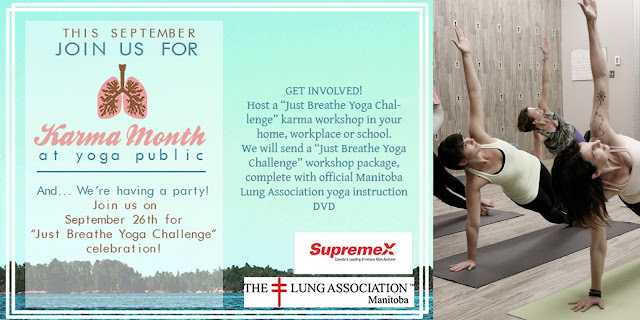 On September 26, 2013, The Manitoba Lung Association and Yoga Public will hold a Just Breathe Yoga Challenge wrap-up event. 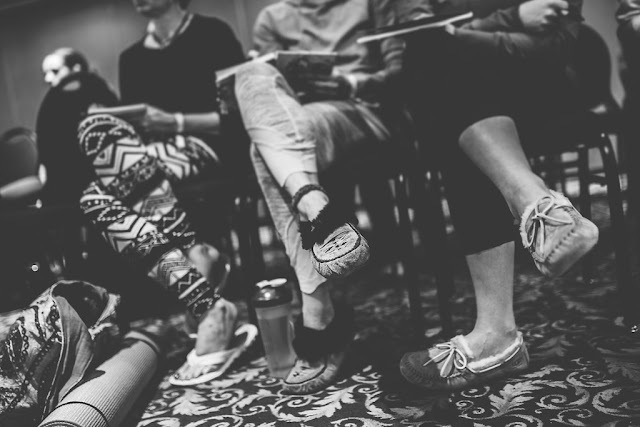 Join us for a one hundred person practice dedicated to lung health. After the class you are invited to join us for tea, a chance to meet our sponsors, and shop in our vendor village.